LOS ANGELES (March 26, 2012) – Aerosmith, America’s greatest rock and roll band, will start your summer sizzling and have you dancing around the fires of rock n’ roll again. After blowing away audiences in South America and Japan, the Bad Boys from Boston are back to rock America’s soul, with The Global Warming Tour playing 18 markets beginning on June 16 in Minneapolis, MN. Live Nation is the national tour promoter for Aerosmith’s North American tour. This summer’s hottest ticket will go on sale March 30 and 31 at Ticketmaster.com and LiveNation.com. The first round of tour dates are below with additional dates for a second leg to be announced shortly. Beginning on Thursday, March 29, fans that visit www.livenation.com/aerosmith and RSVP to the presale will have early access to tickets. The band celebrated their fortieth anniversary in 2010 and shows no signs of slowing down anytime soon. This quintessential live act truly defined rock and roll as we know it, bringing their heart-pounding sound and millions of fans to their feet over the past four decades. 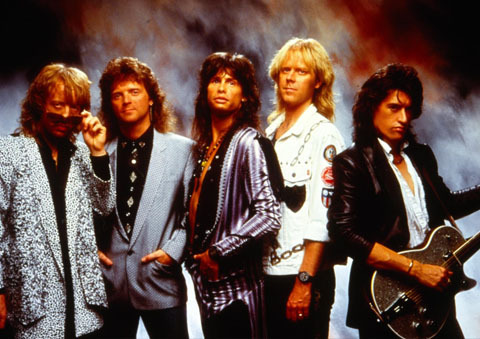 Never succumbing to the trends and fads in music, Aerosmith blazes their own path and remains as ground-breaking as they were when they first formed in 1970. American rock band and musical institution Cheap Trick will open the announced shows. So, she’s not done huh? Britney Spears will be performing two shows in Japan and one in South Korea this spring. The Femme Fatale Tour, which supposedly ended last December in Puerto Rico, has been extended until May. He also told us that they are just about ready to be announced. It seems pretty logical for Live Nation to send Britney on her first appearances in Asia since April of 2002, plus the touring company just launched in South Korea. Very exciting for Britney! We wonder if this will interfere with her wedding plans. We hope it doesn’t! And, well, South Korea is going to be getting great shows now! We want to apologize for one of our biggest mistakes we’ve ever made. Recently, we published an article in which we announced that Britney Spears would be performing three shows in Asia: two in Tokyo, Japan, and one in Seoul, South Korea. Apparently, this information is false and our source, well, wasn’t very accurate at all. We apologize again and we will make sure this doesn’t happen again. Sorry to all the Brit fans who read our article! Remember NSYNC, Take That, New Kids On The Block, The Monkees, The Beach Boys, Backstreet Boys, Westlife, etc.? Well, some of them are still out there doing there thing and as far as we are concerned, a new generation of boy bands is making its way to the spotlight. After all (and many years), New Kids On The Block and the Backstreet Boys united and are still taking part in a sold-out world tour that is one of the biggest of the past year. There are a few bands that we think are going to “pop” or in other words, reach the top this 2012. Join us in meeting these three boy bands that might take the world by storm this year. There are two British boy-bands that are going to top all the charts around the world and one of them is the already-popular, One Direction. Consisting of Niall Horan, Zayn Malik, Liam Payne, Harry Styles, and Louis Tomlinson, One Direction has been topping charts, selling records, and winning awards in the U.K. in the past year like crazy. During the seventh season of the X-Factor overseas, they landed on third place and have been heart-stealers since then. They also recently announced a sold-out U.K. tour for next year and at the moment are touring with Big Time Rush in the United States. The tour barely started and audiences (girls) here in North America are going wild with the 5 young guys. So much, that we even start to wonder if Justin Bieber is no longer important. (We think Bieber is better than them!) Anyway, their continued success will only be continued. (Boo!) 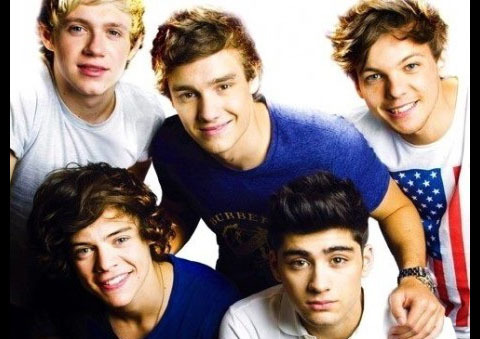 We predict these guys are going to be big starting this year, but not as big as our next boy band below! These are also British. (Damn!) Max George, Siva Kaneswaran, Jay McGuiness, Tom Parker and Nathan Sykes make up what we think is the best boy band of our generation. Their music is great and they are not as cocky as Bieber and One Direction. They are very talented and just finished a great tour here in the U.S. and are making history! They are the first boy band to make the Billboard’s Top 10 list since the Backstreet Boys. Do you know how insane that is? And, their hit song, “Glad You Came,” which has been getting a lot of airplay, is number 5 on the chart! Check them out below and then go on to read the last band that you might not know of, but could be big too. Simon Fuller, Jamie King and Perez Hilton brought to life what the blogger calls “A Boy Band For A New Millennium.” Cole, Dalton, Dana, Gabe, and Will have yet to release music of their own, but their covers show a lot of talent and this could be huge. According to their official website, they’ve been a band for over year and have been in excessive vocal and dancing training. Their album is due sometime this year and is currently in the works. Since not much can be said of them yet, check out one of their covers below and tell us what you think! Well that’s it folks! Who of the bands we mentioned above are you most excited to see succeed this year? Tell us! We are hungry for music news that keeps us informed and helps us make the world a better place, because Music makes the world go round. Go to the bar, a gym, a restaurant, coffee shop, a salon, the mall, even a hospital, and music will be playing. Music is more than a sound - it is the song you've listened from your mom before sleep, the first dance on your wedding, the first song of your child... Music is a way of life, a way of expressing one’s inner emotions, feelings and thoughts.